How to Initiate an Effective Pension PR Campaign by Jane BlumeJane Blume March 25, 2013 12:55 Jordan Marks, executive director of the National Public Pension Coalition, gives some good pointers on how to develop a public relations campaign to protect public employee pensions. Marks spoke to the 700 fire fighters who attended the IAFF Legislative Conference last week in Washington, DC. The Pew Foundation is trying to influence the pension debate in Jacksonville, Fla., but fire fighters won’t allow fuzzy math to affect their retirements. Pew will make a presentation this week to the Jacksonville City Council about how the retirement fund can be managed and acquire money. IAFF Jacksonville Local 122 knows that Pew and its billionaire supporters don’t have the solutions to help fire fighters and are doing what they can to let the public know that Pew’s numbers don’t add up for a stable retirement for public employees. Jacksonville fire fighters have launched a web campaign that includes online ads, Twitter, etc. to let others know what’s at stake. Local 122 is using its website as a pension resource for the community you can view it here. Jacksonville fire fighters and police have been in a long dispute with the city over pension costs. Ultimately, fire fighters say it will be hard to recruit and retain new talent if the city decides to change their pensions. In October, Pew inserted itself into the Jacksonville pension debate blasting the Jacksonville Police and Fire Fund as underperforming. It made the front page of the city’s local newspaper. A few days later a consultant working for Pew on the project backtracked saying data was misread making the pension fund look worse than it was with an annual growth rate for investments 7.16 percent over a 10 year-period. Jacksonville fire fighters say that misrepresentation was enough to not trust Pew’s numbers. Over the past year, Pew and the John and Laura Arnold Foundation have spearheaded efforts to make public employee retirements less secure in states like Rhode Island, Kentucky, Illinois, Montana and Arizona. Recently, Pew was embarrassed by data that it collected nationally that found there is no support for changing public employee pensions with police and fire having a high favorability ranking in the survey. If you find yourself in a similar fight in your community over pensions, remember to keep your message simple. ALEC to continue to push anti-union policies in 2014 by December 5, 2013 12:40 The American Legislative Exchange Council (ALEC) is crafting policy for 2014 at its “States and Nation Policy” Summit this week. A U.S. Fire Administration (USFA) and National Institute for Occupational Safety and Health (NIOSH) research project to clarify the relationship between firefighter occupational exposures and cancer. Cancers of the respiratory, digestive, and urinary systems accounted mostly for the higher rates of cancer seen in the study population. The higher rates suggest that firefighters are more likely to develop those cancers. The population of firefighters in the study had a rate of mesothelioma two times greater than the rate in the U.S. population as a whole. This was the first study ever to identify an excess of mesothelioma in U.S. firefighters. The researchers said it was likely that the findings were associated with exposure to asbestos, a known cause of mesothelioma. The study analyzed cancers and cancer deaths through 2009 among 29,993 firefighters from the Chicago, Philadelphia and San Francisco fire departments who were employed since 1950. Firefighters can be exposed to contaminants from fires that are known or suspected to cause cancer. These contaminants include combustion by-products such as benzene and formaldehyde, and materials in debris such as asbestos from older structures. The findings of the new study do not address other factors that can influence risk for cancer, such as smoking, diet and alcohol consumption. In addition, few women and minorities were in the study population, limiting the ability to draw statistical conclusions about their risk for cancer. The findings of this NIOSH study were reported in an October 14, 2013 article (PDF, 768 Kb) published by the international peer-reviewed journal Occupational and Environmental Medicine. USFA and NIOSH partnered on a study to examine the potential for increased risk of cancer among firefighters due to exposures from smoke, soot and other contaminants in the line of duty. This was a formal epidemiological study with medical oversight. The primary objective of the project was to clarify the relationship between firefighter occupational exposures and cancer. The project improves upon previously published firefighter studies by significantly increasing the study group size and person-years at risk, and using a more detailed exposure surrogate metric in both the mortality and incidence analyses than are found in most previous studies. These improvements increase the precision of disease risk estimates. More cancers than expected occurred among the group. Cancers are definitively associated with exposures to the contaminants to which firefighters may have been exposed. In collaboration with the National Cancer Institute and the University of California at Davis – Department of Public Health Sciences, NIOSH researchers found that a combined population of almost 30,000 firefighters from three large cities had higher rates of several types of cancers, and of all cancers combined, than the U.S. population as a whole. These findings are generally consistent with the results of several previous, smaller studies. Because this new study had a larger study population followed for a longer period of time, the results strengthen the scientific evidence for a relation between firefighting and cancer. In a second phase of the study, the researchers will further examine employment records from the same three fire departments to derive information on occupational exposures, and to look at exposures in relation to cancer incidence and mortality. Those findings, when completed, will be published in a future article. The following is a quote from an appeals court case upholding the termination of a fire captain who refused to answer questions during a disciplinary proceeding. The captain’s name was changed to protect his identity. [Captain Jones] argues that his failure to respond to specific inquiries by the hearing panel was an invocation of [his Garrity Rights]... and that the Commission failed to recognize or address his right to invoke his privilege to remain silent. Instead, he asserts, the Commission wrongly considered his actions to be indicative of his dishonesty. However, [Captain Jones] misinterprets Garrity, which has no bearing on this matter. ... Garrity does not protect public employees from having to answer questions concerning their conduct at their own termination hearings in a noncriminal investigation. There is no aspect of firefighter discipline that is more misunderstood, misquoted, and maligned than the Garrity Rule. Yet the Garrity Rule and the rights it provides are vitally important for firefighters, union representatives, and fire service leaders to understand. Firefighters have lost their jobs, and fire department investigations have been mishandled – all because those involved misunderstood the Garrity Rule. To understand the Garrity Rule, and Garrity Rights, we need to review some basic concepts about the nature of the employment relationship, and the origins of the Garrity rule itself. It is helpful if we review this information in light of the five common misunderstandings about a firefighters right to remain silent. Common Misunderstanding Number 1: A firefighter has a right to remain silent any time he/she chooses. An employment relationship is essentially a contract between an employer and an employee. While often the exact terms of the agreement are not clearly spelled out, certain fundamental concepts are embodied in the relationship. Contrary to popular belief, an employer has a legitimate right to ask an employee questions related to his/her work, and an employee who refuses to answer legitimate questions posed by his/her employer may be disciplined for insubordination. Answering job related questions is not optional and insubordination for refusing to answer legitimate questions about a job related matter is a serious offense that may result in termination, even as a first offense. The 5th Amendment is the basis for our Constitutional right to remain silent. So how does the right to remain silent square with the obligation of a public employee to answer an employer’s legitimate questions? In 1967, the US Supreme Court decided the case of Garrity v. New Jersey, 385 U.S. 493 (1967). Garrity involved police officers who were accused of fixing traffic tickets. During the investigation the officers were informed of their right to remain silent, but also informed that if they remained silent they would lose their jobs. The Supreme Court ruled that it is unconstitutional for a police department to order police officers to answer questions under threat of losing their jobs, and then use the answers to incriminate them. The department, as an employer, has a choice: compel the employee to answer questions, in which case those statements may not be used in the criminal prosecution of the individual officer, or allow the employee the right to remain silent without penalty or threat of penalty. While Garrity involved police officers, the principle applies equally to public sector firefighters and other public employees. Garrity applies only when a public employee (such as a firefighter) is asked legitimate job related questions by his superiors, where the answers may tend to incriminate him in a criminal matter. A firefighter in a Garrity situation has the right to remain silent, but only to the extent he is not ordered or compelled to answer questions. If a firefighter is compelled to answer legitimate job related questions, he must answer the questions. Any information resulting from the compelled questioning may not be used in a criminal prosecution against the firefighter. This limitation on the use of compelled information in a criminal case is often referred to as immunity. NLRB v. J. Weingarten, Inc. There is a limitation on the ability of an employer to compel answers from an employee when the employee is represented by a duly authorized collective bargaining representative. Known as the Weingarten Rule, an employee who reasonably believes the questioning may lead to disciplinary action, and who requests the presence of a union representative, can refuse to answer questions until he/she has had the opportunity to confer with the union rep. The Weingarten Rule arose out of the US Supreme Court ruling in NLRB v. J. Weingarten, Inc., 420 U.S. 251 (1975). The Court upheld the National Labor Relation Board’s ruling that an employer commits an unfair labor practice if it denies an employee’s request for union representation under such circumstances. The NLRB’s penalty for the unfair labor practice is the same today as it was in 1975: the employee cannot be disciplined. States have universally applied Weingarten to public employees. 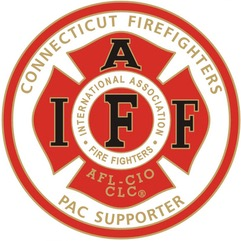 Thus, firefighters who have a duly authorized collective bargaining representative have the right to have a union representative present during questioning. The right must be exercised by the firefighter, and with the exception of states that have a firefighter bill of rights, the department is under no legal obligation to warn or remind the firefighter about the right prior to questioning. Once the union representative is present, and has had the opportunity to confer privately with the employee, the employee must answer the employer’s legitimate questions. Common Misunderstanding Number 2. The option to remain silent or accept immunity protection under Garrity rests with the firefighter. The Garrity case clearly states that the option to compel an employee to answer questions or allow her to remain silent, rests with the employer, not the employee. When questioned, an employee may choose to invoke Garrity, but it is ultimately the employer who chooses whether or not to allow an employee to remain silent. In some cases, an employer may decide not to compel an employee to answer questions. In such a case, the employee’s exercise of her right to remain silent cannot be used against the employee for any purpose. This is true even if the employer offers the employee the opportunity to voluntarily make a statement. But if the employer chooses to compel an employee to answer questions, the information may not be used in any subsequent criminal case against the employee, except for perjury. Once compelled to answer questions, the employee cannot refuse, and any refusal constitutes insubordination. Bad advice from union officials or attorneys to remain silent is unfortunately not a defense. Common Misunderstanding Number 3: Once a firefighter is compelled to answer questions, the firefighter has immunity and cannot be charged with any criminal offense that he/she discloses. An employee compelled to answer questions after invoking Garrity may be charged with the crimes that are disclosed. Garrity protects the statements made during a compelled interrogation. Any such statements are entitled to the equivalent of what lawyers call “use/derivative-use immunity”. In other words, the information provided cannot be used directly by police, nor used indirectly to develop other evidence in the criminal case. However, police are entitled to develop a case independently of the compelled information. If the police decide to bring criminal charges against the employee, they will have the burden to prove they developed their case without using evidence obtained through the compelled statements. While this may not sound like a huge burden, it is indeed a very difficult obstacle for law enforcement to overcome. For that reason, fire departments must be very careful when making the decision to compel an employee to answer questions in a Garrity situation. If there is a potential that a firefighter committed a criminal offense, the decision to compel answers should only be made after conferring with law enforcement and prosecutors. Common Misunderstanding Number 4: Compelled answers cannot be used to discipline the firefighter. When an employee is compelled to answer questions, the answers may not be used in a criminal prosecution, but they nevertheless may be used for internal disciplinary purposes. There is nothing in Garrity that prohibits an employer from using compelled statements to discipline an employee. Common misunderstanding Number 5: An employee can refuse to answer questions that may incriminate him/her for having violated departmental rules. The 5th Amendment right to remain silent, and the rights recognized under Garrity, apply to cases where an employee is potentially facing criminal charges. There is no Constitutional right to remain silent simply because the answers may lead to a disciplinary action against the employee, nor because they may incriminate another employee. An employee may not refuse to answer an employer’s legitimate job related questions due to disciplinary concerns. The Grayest of the Gray Area. While much of the law surrounding Garrity may appear to involve shades of gray, hopefully this overview has helped to clear up some of the confusion. However, there remains one big problematic gray area. It involves the question: has an employee in a Garrity situation been “compelled” to answer questions, for purposes of immunity attaching to any statements made? In the Garrity case the officers were questioned as part of a formal investigation, and ordered to answer questions. What if they had been asked the same questions in a less formal setting? Let’s look at a couple of cases. Case 1. A firefighter is accused of stealing money from an intoxicated patient on a medical run. The firefighter is notified of the allegations and instructed to appear with a union representative and/or an attorney before a department investigator to answer questions. As soon as the questioning begins, the firefighter states that he wishes to invoke Garrity, and his 5th Amendment right to remain silent. Thereafter, the investigator (a ranking officer) orders the firefighter to answer questions. Many authorities conclude that for Garrity rights to be invoked, the employee must announce that he or she wants the protections under Garrity, wants to exercise his/her 5th Amendment Rights, or wants to remain silent. Case 1 is an example of an employee doing exactly that: invoking Garrity. Any statements that are compelled after invoking Garrity, may only be used for administrative investigation purposes but not for criminal prosecution. Case 2. A firefighter is accused of stealing money from an intoxicated patient on a medical run. The firefighter is notified of the allegations and instructed to appear with a union representative and/or an attorney before a department investigator to answer questions. At the beginning of the interview the investigator reads an admonishment to the firefighter advising him that he is accused of violating department regulations by taking money, and ordering him to answer the questions truthfully or be subject to discipline for insubordination. There is a split of opinion over whether Garrity issues can arise without the employee formally raising his/her 5th Amendment rights. Some courts have held that where a public employee is compelled to answer questions under penalty of discipline for insubordination, termination or other serious consequence, and criminal consequences may result from the answers, the employee does not need to raise Garrity prior to answering. It is the act of compelling the employee that triggers Garrity, and immunity attaches to such a compelled statement. Case 3. A firefighter is accused of stealing money from an intoxicated patient on a medical run. Later that shift, the firefighter’s district chief calls him into his office and asks him whether or not he stole the money. In Case 3, it is not at all clear whether the firefighter is being compelled or not, and thus it is not clear whether or not immunity protection will attach to any statements given. The question becomes whether the employee (1) subjectively believe he/she was being compelled to answer questions, and (2) whether that belief was objectively reasonable. Certainly if the firefighter in Case 3 raises Garrity or his 5th amendment right to remain silent, and is nevertheless ordered by the district chief to answer, Garrity would apply and immunity would attach. For this reason, it is important that firefighters know their rights, and fire department supervisors understand the potential problems associated with questioning employees under these circumstances. A well intentioned officer could easily stumble inadvertently into a Garrity immunity situation. Case 4. A firefighter is accused of stealing money from an intoxicated patient on a medical run. The firefighter is notified of the allegations and instructed to appear with a union representative and/or an attorney before a department investigator to answer questions. At the beginning of the interview the investigator reads an admonishment to the firefighter advising her that she has the right to remain silent; that she is not being compelled, ordered or required to answer questions; and that any answers she provides must be given freely and voluntarily. He also reads her a Miranda Warning and asks the firefighter to sign a Miranda Rights Acknowledgement Form. He then asks her questions about the incident. In Case 4, Garrity specifically does not apply because the statements are not compelled. Any statement made by the firefighter in Case 4 can be used against her in a criminal case. On the other hand, if she refuses to answer it cannot be used against her in either the criminal case or a department disciplinary proceeding. The Garrity Rule has important implications for firefighters, union representatives and fire officers. Many fire departments have adopted policies that require that employees who are being questioned be advised of their Garrity Rights as a routine part of administrative investigations. In some states, firefighter bill of rights laws require that firefighters be issued a statutory warning explaining those rights before questioning begins. Given the challenges posed by Garrity, such policies and laws are well advised for all concerned. However, in the absence of such protections, firefighters, union officials, and fire officers need to be cognizant of the impact that Garrity has on investigative questioning. In particular, be aware of the gray area surrounding whether a firefighter has been compelled to answer. The case law is not fully developed. Above all, firefighters who find themselves being questioned about a job related matter where the answers could potentially implicate them in a crime, should invoke Garrity up to the point they are compelled to answer. Once compelled to answer questions, firefighters must understand that any further refusal to answer questions may result in insubordination charges, and possible termination. Emergency Casualty Care (TECC) concepts and practical skills applications. successful, and provide the foundations for TECC. execution of the right interventions at the right time. large trauma dressings and adjunct airways. Happy Birthday Fire Fighter Near-Miss! Monday August 12th was the 8th anniversary of our original launch date. While we have had many ups and downs over our past eight years, we are excited for the changes that are coming in order to better serve you. The Firefighter Cancer Support Network recently released a white paper entitled "Taking Action Against Cancer in the Fire Service" that is the result of a combined effort from fire service professionals as well as medical, social, and legal researchers. We highly recommend this important report and urge you to read it. This white paper highlights a crucial fact: there is credible, validated and scientific evidence that fire fighters have statistically higher rates of multiple types of cancers compared to the general American population. While cancer screenings and annual physicals may not be thought of as 'near-misses', they can, in fact, be exactly that. Until further research is conducted on the many causes of cancer in the firefighting community, regular screening and preventative strategies can be the "break in a chain of events" that allows illness and death to be avoided. The National Fire Fighter Near-Miss Reporting System includes reports from fellow firefighters that discuss the importance of thorough medical screenings which can help discover cancers, cardiac related illnesses, and other serious medical concerns. Temperatures and extreme weather conditions typically peak in the month of August. This month's featured report deals with heat related illnesses. In this report, a firefighter suffers from heat exhaustion after responding to a fire in an auto repair shop. It highlights the importance of staying aware of the cues one's body gives when responding to an incident but also the importance of having policies, procedures and resources in place and implemented to ensure proper rehabilitation when responding to events. The resources below highlight a few resources available to help learn about and prevent heat related illnesses and injuries. NIOSH Workplace Safety Topic: Heat Stress -Basic information about heat stress, heat illnesses and injuries, treatments, and prevention. Firefighter Fatalities and Injuries: The Role of Heat Stress and PPE -Illinois Fire Service Institute's Technical Repot on heat stress and PPE with regards to fire fighter fatalities and injuries. Preventing Heat Stress for Firefighters -Ohio's Division of State Fire Marshal's tips for preventing heat illnesses on the fire ground. Heat Illness Basics for Wildland Firefighters -US Forestry Department's technical report on heat stress and heat illnesses with regards to wildland firefighting. The National Fire Fighter Near-Miss Reporting System is at Fire-Rescue International August 13-17 in Chicago, IL. Please stop by the International Association of Fire Chiefs Pavilion (Booth #2649) to learn more about the Near-Miss Reporting System and what to expect for 2014. An FRI app (for iPad, iPhone, and Droid) has been developed to help navigate the conference and connect with other participants. Recalibrate how you think about "Near-Misses." Near-Miss reports don't only have to record "what went wrong", they can also highlight best practices that allowed for an injury or fatality to be avoided. "We all get complacent and think it could never happen to me! The Near-Miss Reporting Systems helps open all our eyes to the dangers that are inherent with the job." <!--[if !vml]--> <!--[endif]-->Unsubscribe from the National Fire Fighter Near-Miss mailing list. To change your email address, please click here. Firefighternearmiss.com is funded by a grant from the U.S. Department of Homeland Security's Assistance to Firefighters Grant program. Founding dollars were also provided by Fireman's Fund Insurance Company. The project is managed by the International Association of Fire Chiefs and supported by FireFighterCloseCalls.com in mutual dedication to firefighter safety and survival. HERE is the IAFF Emergency Vehicle Program: http://www.iaff.org/hs/evsp/home. A number of additional proposals in the Residential Code concerned the IAFF including our proposal attempting to have a non-combustible covering between foam insulation and the exterior covering. The proposal was intended to require a ten foot set back from the property line if there was no barrier. This was an attempt to address the flame propagation due to radiant heat exposure. The proposal failed but we are working with the vinyl siding industry and others to address exterior flame spread. One challenge is the difficulty in the accumulation of data. This really highlights the importance of properly completing NFIRS reports after fires. Believe it or not many people scrub the narratives in these reports. If something is difficult to classify or just as a matter of habit fire officers should include a narrative outlining the fire, actions taken and types of construction or materials involved in the fire. There were a number of code change proposals addressing the protection of lightweight construction. One proposal was to require all residential floors to be protected. This is actually a preferable method of protection as residential floors are an issue for our members. We have seen the performance of modern lumber and it does not perform in fire conditions as legacy lumber. We engineer our trees to grow faster, we harvest them earlier and we have reduced the dimensions required to classify dimensional lumber. This proposal was defeated by the committee 11 - 0 as they consistently voted against cost increase proposals. A second proposal addressed the equivalency issue for alternative methods. One of our concerns with the language where it was in the language is that it did not highlight the requirement of utilizing a certified testing laboratory as the required source for an Evaluation Report. This was debated for quite a bit at the microphone but again the committee voted it down. The third major proposal on lightweight was an attempt from Utah to remove the requirement the IAFF worked so hard on to get the requirement into the code. Although the proponents had little support at the microphone the committee was a concern by their voting records. After the debate the committee voted 9 - 2 to reject the proposal. Therefore we were successful in retaining the requirement of protecting engineered residential floor systems. As we speak there are numerous companies working on alternative products to gypsum board to create alternative design methods of protection. If they can meet performance standards we welcome them but we again have to remain active to make sure they actually meet performance standards. One goal is to establish benchmark time performances based on product testing in applicable scenarios and not using calculation methods to determine the target performance. With over 400 code change proposals for the Fire Code and 500 code change proposals for the Residential Code it was a long week. Overall the fire service did well especially in this economic environment. We consistently address issues based on safety for our members and the public. Make no mistake, industry uses this format to introduce new products and concepts into the built environment, our work environment, and we must be vigilant to ensure unsafe products and practices do not get approved. Read more from the IFC hearings. No longer do fire fighters and paramedics just have to be concerned with the inherent dangers of fighting fires, mitigating hazardous materials incidents, and exposures encountered during EMS responses. Now more than ever, being assaulted while serving others is a real threat. Fire fighters and Paramedics are being assaulted by the very people who called for their assistance. These people may include the victims they treat, associated family members, and in some cases bystanders. Recent incidents, like Gwinnet County, GA and Webster, NY indicate that fire fighters are being targeted for various twisted reasons. “We are now seeing people use fire fighters more and more as a way to bring attention to their troubles,” says Pat Morrison, IAFF Assistant General President for Health, Safety and Medicine. Fire fighters are trained to call police if they sense a potentially violent situation, but some members have argued that these attacks are so sudden and often times there is little to no warning that it is almost impossible to call for help before the violent act takes place. The National Fire Academy estimates that there are 700,000 assaults on paramedics and EMTs annually. It is unusual for fire fighters to find themselves in situations like the incident in Gwinnett County, GA. However, today, fire fighters and EMTS are viewed as an extension of the government and from a position of authority – meaning they are more open to attacks. More training is needed to make sure fire fighters can react appropriately or escape from threatening situations. It is imperative that fire fighters communicate and train with police officers on how to handle these violent incidents. Law enforcement officials said that the fire fighters had calm and collected demeanors that help to calm the gunman in Gwinnet County, GA where a man faked a heart attack to lure fire fighters to his home and took them hostage. Their actions helped them escape what could have been a deadly situation. Individual fire departments decide what training is appropriate for their members. Too often due to tight budgets or what the department considers higher priorities departments fail to provide the training necessary to prepare responders for violent incidents. In addition to these types of incidents, fire fighters and paramedics must work with their local law enforcement agencies to develop protocols and training necessary to jointly respond to active shooter incidents or acts of terrorism (foreign or domestic). While the investigation continues in Boston, one thing has become very clear. IAFF members were standing by on the scene when the explosions took place and many more responded in the aftermath to provide care and solace for the wounded. Seconds count in situations like these and first responders are expected to get to the wounded while the police perimeters are being established. High level training, both initial and ongoing, is essential to make sure first responders aren’t hurt, but are still providing the necessary care to make sure others live. The IAFF will feature a special session on Responding to Incidents of Violence at the John P. Redmond Symposium/Dominick F. Barbera EMS Conference August 21-24 in Denver, Colorado. This session will feature fire and police officials who have handled these types of incidents and used the lessons learned to provide a model you can use to develop your own policies, procedures and training protocols for responding to acts of violence. But don’t wait, start working now with your department and local law enforcement agency to establish a relationship of trust and joint direction moving forward. Lives will depend on it. Proposed Building Code Changes Could Affect Fire Fighter Safety by Pat Morrison	Pat Morrison April 17, 2013 10:32 The IAFF is preparing for the upcoming International Code Council’s Committee Hearings next week in Dallas, TX. A number of code change proposals will be debated concerning our member’s work environment.